If you’re travelling to a place with no Internet, it’s going to be difficult to get your daily YouTube fix. That’s just one of the many reasons why you might want to download YouTube videos. Once you download videos you can watch them at leisure without having to worry about your Internet connection. We are going to tell you how to download YouTube videos but there’s a disclaimer here. This tutorial is meant to help people enjoy videos when they’re offline and not for copyright infringement. Please do not download videos if you don’t have the creators’ permission to do so. If you’re sure that the creator won’t mind if you download and watch their videos, follow these steps. YouTube allows you to download certain videos on Android and iOS. Follow these steps to download those videos. Open the YouTube app on your smartphone. Open any video on the app. Below the title you will see a Download button between Share and Add to. This will show up only if the creator of the video allows downloads. Once you tap Download, the video will begin downloading and you can watch it from the app whenever you want to. To download YouTube videos on Windows, macOS, and Linux, there is a free app called 4K Video Downloader. It downloads videos and lets you choose the resolution as well. Follow these steps. Find a YouTube video you want to download. Copy the URL from the address bar of your browser. Open 4K Video Downloader and click the green Paste Link button. Now the app will parse the video and then offer a bunch of resolutions for you to download the video. Select the button next to the resolution you want. Click Browse to choose where you want to save the downloaded video. Then click Download. Now the app will download the video of your choice in the resolution you chose. We tested this on Windows and macOS, and it worked flawlessly. 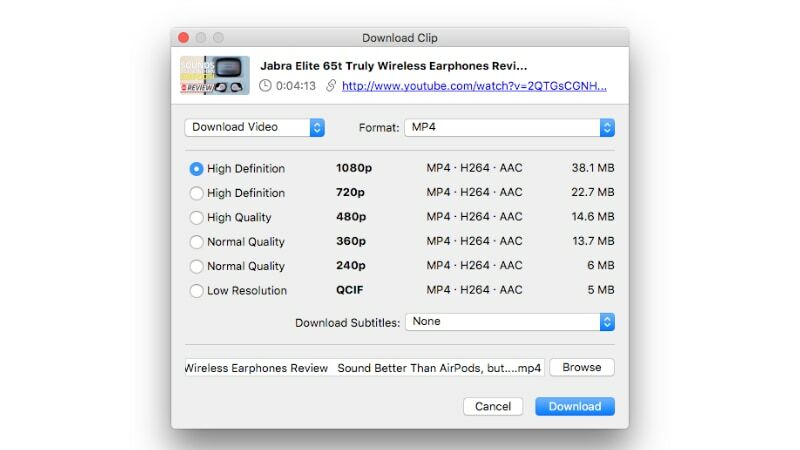 It’s probably the easiest way to download videos in full resolution as most other alternatives don’t let you download videos in resolutions larger than 720p. Apps like 4K Video Downloader can help you download YouTube videos for offline viewing. If you can’t download an app to download YouTube videos, you can also do it via a Web browser. Follow these steps. Copy and paste the URL of the video you want to download on the big form at the top. Click the red Download button. Select the format you want and the video will begin downloading. Note that this method allows you to download 720p videos without issues. If you want a higher resolution, it will download the video without audio. This method doesn’t work on iOS or Android. If you have an Android phone and you want to download a YouTube video, head to Save From Netinstead, and switch to Desktop site (tap the three vertical dots in Chrome and select Desktop site). 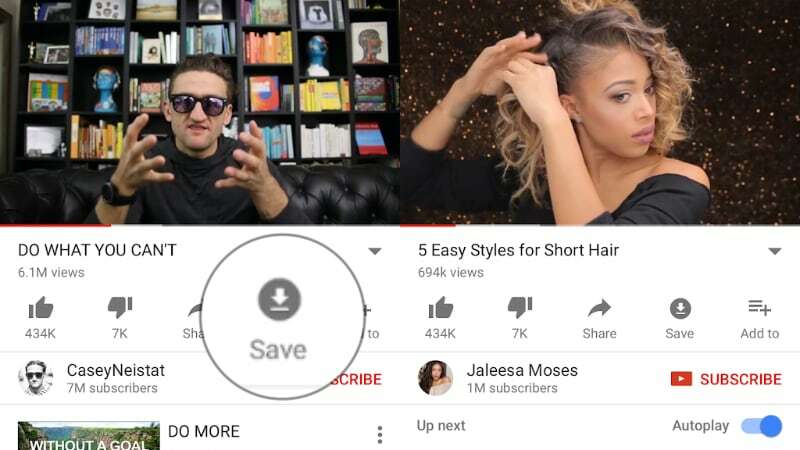 Now paste the URL of the YouTube video and proceed to download. Which method do you use to download YouTube videos? Let us know via the comments.